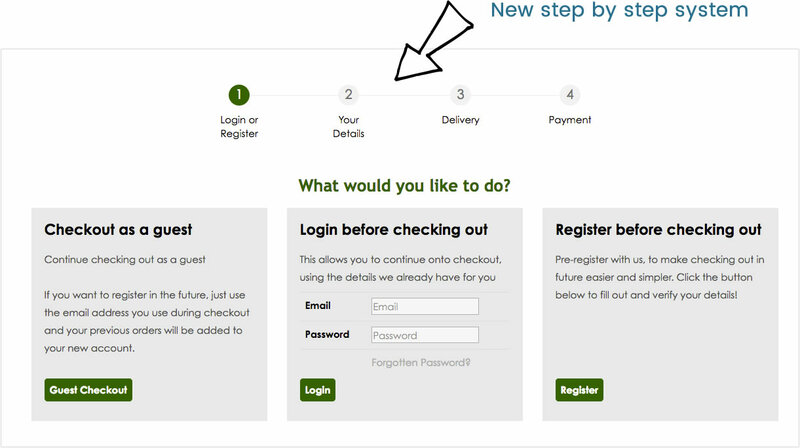 Upgrades and new features, including a new checkout system! Here is a summary of some of the major updates we've applied to your website and website manager. For customers selling items online that are available in multiple variations (eg different colours and sizes), we've made some changes to the interface you use to add variations to make it much simpler to use, and generally more intuitive. This should make this part of the website manager much easier to use. Whilst doing the updates we've also noticed some other things we can change to make it even better, so this is now also in the development pipeline. When you change or edit your layout, if the font you want begins with any letter after C in the alphabet, it could take rather a long time scrolling down to find it, due to the huge number of fonts we make available to choose from. If you're curious as to what promotional code a customer has used when placing their order with you, this is now shown on the website manager when viewing an order.